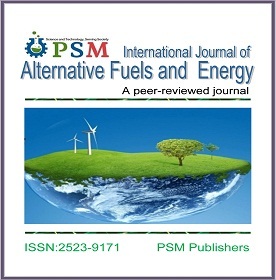 International Journal of Alternative Fuels and Energy (IJAFE; ISSN: 2523-9171) is an open access, peer-reviewed international journal that considers articles on all aspects of alternative energy sources and allied sciences. The journal covers all all aspects of alternative energy sources and allied chemical and engineering sciences, biofuels, microbiology, environmental science, ecology, wind and solar energy, photovoltaics, tidal and wave energy, marine energy, geothermal energy, hydrogen energy, fuel cells, chemistry, allied engineering sciences, physics, agricultural engineering, biological and biosystem engineering, forestry engineering, materials engineering, water resource engineering, mineral and metallurgical engineering, engineering management, biomechanical engineering, engineering technology and nanotechnology, and more. International Journal of Alternative Fuels and Energy (IJAFE) follows publication ethics very seriously and abides by the best practice guidance of the Committee on Publication Ethics (COPE). The journal welcomes the submission of original manuscripts (Please see Plagiarism Policy) that meet the general criteria of significance and scientific excellence. Click Here to submit your article to International Journal of Alternative Fuels and Energy.